The Clusterfuzz Jr. is the smaller brother to our Clusterfuzz. It’s the same circuit under the hood, with a few less features to allow it to fit into a standard 125B-sized enclosure. It uses the same types and values of components as its bigger brother, we simply scaled it down to a smaller footprint based on feedback from our customers. You asked; we listened! 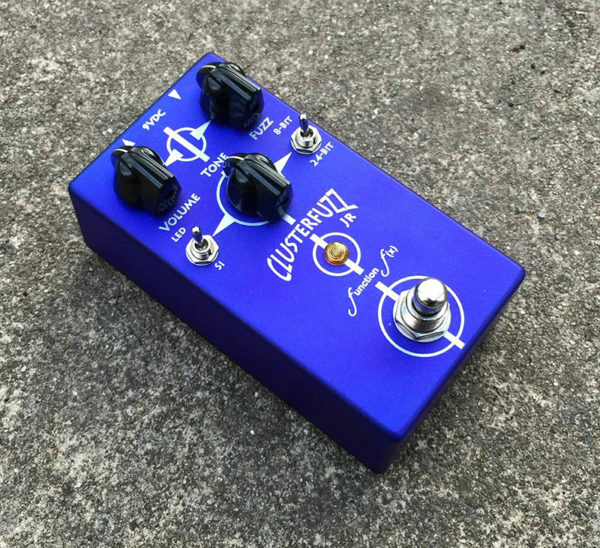 As with all Function f(x) pedals, the Clusterfuzz Jr. sports a soft-touch, relay-based true bypass switching system.